There's not doubt that Hermione is the most skilled witch at Hogwarts. She knows every incantation and all the ingredients needed to concoct the most important potions. She's a scholarly young witch who is well-aware and as a result she's at the very top of her class. So, you can't really expect her to spend any time fussing with her hair when she has spells to recite and incantations to mesmerize. Big deal, Hermione's hair is slightly frizzy and unkempt! Having well-groomed hair won't save you from the Dementors that are on the loose and Hermione is smart enough to know that. Now you can get Hermione's signature locks and you won't have to forego brushing your hair either. This officially licensed Hermione Granger wig will turn you into Gryffindor's star pupil. 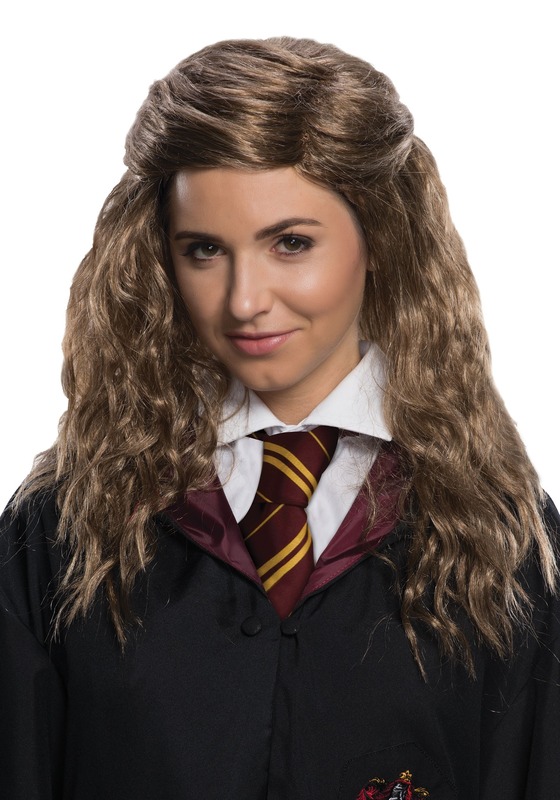 Just pair this crimpy brown wig with your house robe and meet up with Harry and Rob because chances are, they are going to need your help with whatever scheme they're cooking up at the moment.